In a result that should surprise no one, the Greeks voted to reject European demands for additional austerity measures as the price for providing funds to allow Greek banks to operate. There are three reasons this should have been no surprise. First, the ruling Coalition of the Radical Left, or Syriza party, is ruling because it has an understanding of the Greek mood. Second, the constant scorn and contempt that the European leadership heaped on the prime minister and finance minister convinced the Greeks not only that the scorn was meant for them as well but also that anyone so despised by the European leadership wasn't all bad. Finally, and most important, the European leadership put the Greek voters in a position in which they had nothing to lose. The Greeks were left to choose between two forms of devastation - one that was immediate but possible to recover from, and one that was a longer-term strangulation with no exit. APA member among the allied forces of the Iraqi security forces and Shia militiamen watches a weapon getting prepared for fighting against the Islamic State group outside Fallujah, in Iraq on Tuesday. On June 29, 2014, Abu Bakr al-Baghdadi, leader of the Islamic State of Iraq and Syria, declared himself as the new “caliph” of the world’s Muslims. In his first public appearance, Baghdadi, standing on the balcony of Mosul’s Great Mosque, demanded the loyalty of Muslims and urged them to “obey” him and “make jihad” for the sake of Allah. It had already been controlling huge swathes of territories in eastern Syria and key cities in north-western Iraq, including Fallujah, Mosul and parts of Ramadi. The group was at war with Iraq and Syria. Two months later, U.S. President Barack Obama ordered air strikes against the group — which had by that time renamed itself as Islamic State (IS) — widening the front against the jihadists. 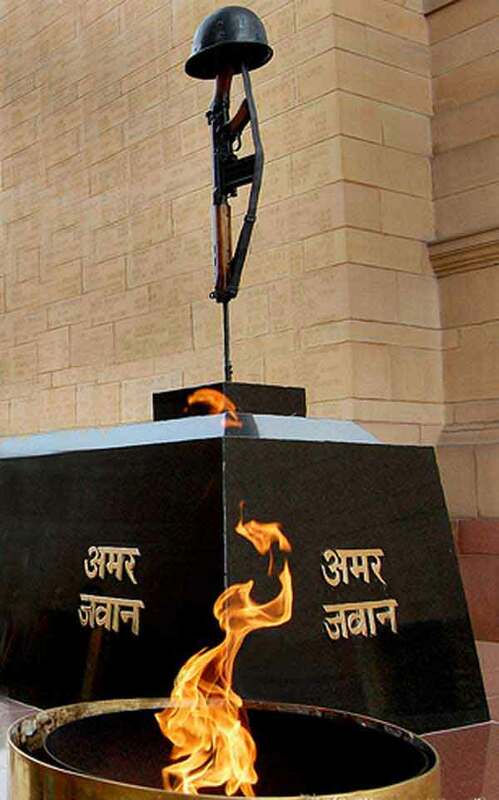 Even as the nation readies itself to pay homage to the extraordinary bravery displayed by the young officers and the men of the Indian Army during the Kargil conflict, the lessons thrown up raise many questions that reflect the political and the military leadership in poor light. The infiltration by Pakistanis and positioning themselves on the various heights in Kargil must have been planned by GHQ Rawalpindi for a period of at least one year. On the intelligence front it implies that R&AW, the external intelligence agency was clueless and could not decipher the activity for almost one year. …discovery of the intrusions reported by a shepherd reflects that our intelligence agencies, i.e. IB and MI do not keep in close contact with the ‘locals’, who can provide primary intelligence! This amounts to a colossal intelligence failure. Similarly to position Pakistani troops on to the heights would have taken considerable planning and time. Failure to detect the ongoing movement of men, rations, and the arms and ammunition for considerable time inside our borders amounts to serious intelligence failure at tactical level by Military Intelligence (MI) and the Intelligence Bureau (IB). 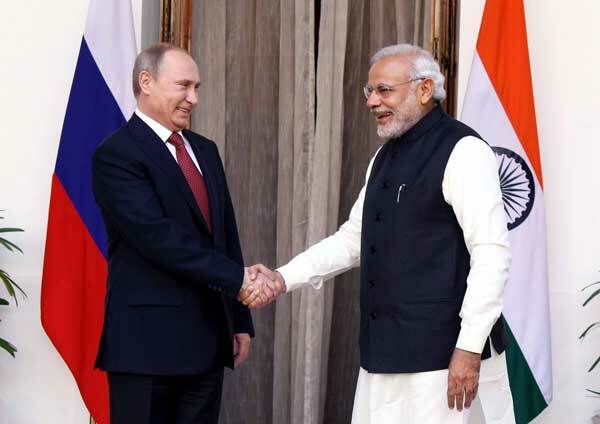 Russian President Vladimir Putin’s visit to India has served to reaffirm bilateral bonds between the two countries. Beyond the positive rhetoric – New Delhi assured Putin that Moscow will remain its foremost partner – a string of agreements in the energy, defence and economic sectors were signed which serve to arrest the downward slide in bilateral relations. Moscow is miffed at India’s growing proximity to the US and fears losing ground to Washington in India’s defence market although it accounts for 70 per cent of India’s defence purchases. They unveiled a “Druzhba-Dosti” vision statement that will guide their engagement over the coming decade and pledged to triple trade in this period. Twenty agreements were signed, including one worth $10 billion that will provide India with Russian crude oil. The two sides are also eyeing an expansion of civilian nuclear energy cooperation; Russia will build a dozen more nuclear reactors in India over the next 20 years. Non-performing loans are a wonderful Indian euphemism. When a borrower does not repay a bank, the loan to him becomes non-performing. He did not repay it even before it stopped performing; but then it was supposed to be performing because the bank had not asked back for the money. Or, the bank had given the client a loan for a fixed term; if he did not pay at the end of the term, he ceased to perform. Presumably, some time after that, someone in the bank would wake up, call up the borrower and ask him to repay. If he did not, the bank would write to him pointing out his breach of promise. If he sent no reply or replied rudely and omitted to repay, his debt became a bad debt - or, in bank jargon, turned nonperforming. The bank itself would put off calling it that as long as it could. It would first call it substandard. Then if the borrower continued to renege, the bank would call the loan doubtful. If he proved himself an incorrigible bad egg, then the loan would be renamed a loss asset. If a borrower comes to know that the bank has labelled him a bad debtor, he will have lost his reputation and will have no further incentive to repay; so a bank will put off calling a debt a bad debt as long as possible. If it turns bad, the money the bank lent will be irrecoverably lost, and must be written off against its profits. So the bank may opt for another way: instead of condemning a loan as a bad debt, a bank may set aside some of its profits in a reserve against potential losses, without specifying precisely which debts it is supposed to set off. 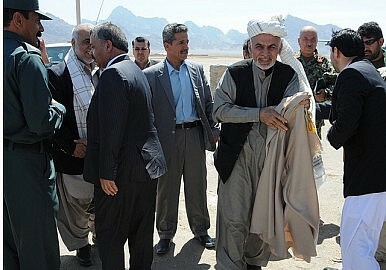 Splintered peace talks are not the way to ensure stability in Afghanistan. 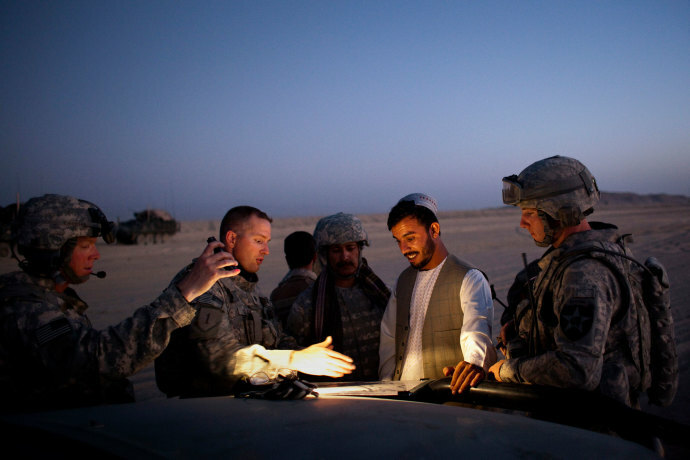 With the formation of the National Unity Government headed by President Ashraf Ghani in September 2014, relations with Pakistan saw an unprecedented improvement, raising hopes of peace talks with the Afghan Taliban. Months later, in mid June 2015, Ghani’s strongly worded letter to the Pakistani authorities was an apparent sign that his patience had worn thin. In his letter, the Afghan president demanded that Pakistan bring Taliban to the negotiating table or crack down on Taliban sanctuaries in Pakistan. Ghani gave Pakistan a three-week ultimatum to prove its commitment to a unified stance with the Afghan government against the Taliban. As yet, though, there appears no evidence of any meaningful action from Pakistan. PressTV - A senior Afghan official has accused Pakistani helicopters of airdropping weapons to the Taliban militants in the troubled southeastern part of Afghanistan. Dawlat Waziri, the deputy spokesman for the Afghan Defense Ministry, said on Monday that Afghan forces have been instructed to use all means to stop the Pakistani military choppers to assist the militants in the eastern province of Paktika. The remarks come after reports emerged that the Pakistani helicopters were dropping weapons to Taliban in the Barmal district of the province. Pakistan has yet to comment on the incident. Last week, fierce clashes erupted between Afghan security forces and Pakistani troops in a remote border region. The fighting came after Afghanistan accused Pakistan of building a military installation on the Afghan soil. Stocks finished mixed in China on Monday. The failure to trigger strong rallies after weekend announcements of Beijing’s market rescue plan suggest shares will continue their recent plunge, which threatens to take down the broader Chinese economy. At the Monday close, the widely followed Shanghai Composite Index was up 2.4%. The Shenzhen Composite, however, lost 2.7%, and the Nasdaq-like ChiNext, a board of stocks traded in Shenzhen, fell 4.3%. Monday’s trading followed a general rout. Since their June 12 peaks, the Shanghai index has dropped 26.9% and Shenzhen’s is off 35.0%. The ChiNext is down 37.4% from June 3, its high mark. The 7th Round of the U.S.-China Strategic and Economic Dialogue (S&ED) concluded last month. Once again, the work of hundreds of senior officials and dozens of agencies produced a mountain of literature. China watchers are still parsing the 127 outcomes of the Strategic Track, but one important change seems to have slipped through the cracks. Unlike last year, the factsheetcontains no reference to a “new model of U.S.-China military-to-military relations,” an offshoot of President Xi Jinping’s signature foreign policy concept, the “new type of great power relations (NTGPR).” In fact, a careful reading of recent Pentagon speeches and reports confirms this is no accidental omission. Despite some recent progress in areas of practical cooperation like the signing of an Army-to-Army Dialogue Mechanism Framework, Secretary Ashton Carter has systematically purged the term from the Defense Department’s engagement rhetoric. Exasperated with Beijing’s maritime assertiveness and cyber activities, views of China within the Pentagon—and Washington in general—are unmistakably hardening. Observers on both sides of the Pacific should take note of this latest sign of deepening strategic mistrust. The TPP is not just about economics as it has the potential to be a pillar of American grand strategy in the Asia-Pacific for decades to come. At first glance, the Trans-Pacific Partnership (TPP) looks much like any other trade deal. By increasing trade and investment among its partners, the TPP sets out to stimulate a higher rate of economic growth in the United States and among many of its Pacific friends. As with similar treaties, the TPP has been the subject of controversy in the U.S. Congress, which very nearly killed a key piece of legislation necessary to America’s ratification of the agreement. But while American lawmakers attacked and defended the treaty largely in narrow economic terms, they appeared to disregard its main strategic promise. Besides creating jobs, the TPP may also alter the balance of power in the Asia-Pacific. The treaty will increase the rate of economic growth in the United States and in an array of friendly nations while simultaneously diverting trade flows away from Washington’s greatest competitor, China. More important than any of these absolute changes in economic output, though, is the relativechange in national power, itself the product of economic might. Whereas trade is often discussed in absolute terms, relative gains are more important in the often zero-sum world of international politics. If the TPP can change the trajectory of American power relative to China’s, it may be the single most important factor in whether the United States retains its “indispensable” role in the 21st Century. 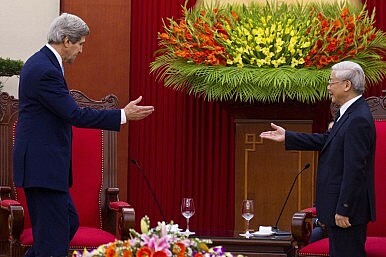 From July 6 to July 10, the United States will host the first-ever visit by a Communist Party chief from Vietnam. When President Barack Obama meets with General Secretary Nguyen Phu Trong in the White House on July 7, the two leaders will take a major step forward in the quiet yet profound shift that is changing the game both in the U.S.-China-Vietnam triangle and in Vietnam’s domestic politics. According to Vietnamese sources, the visit is expected to result in a “joint vision statement” that will upgrade Washington and Hanoi’s two-year old “comprehensive partnership” to an “extensive comprehensive partnership.” While this new label falls short of the “strategic partnership” that both sides have been seeking for years, the spirit Trong’s trip conveys and the level of mutual trust it reflects will elevate U.S.-Vietnam ties to a new plateau, one where an informal strategic alliance is not just theoretically imaginable but politically possible. It may be the case that Hong Kong will up more like Taiwan than Taiwan like Hong Kong. Beijing must have been seriously embarrassed with the resounding defeat of its proposal for “political reforms” in Hong Kong on June 18. The National People’s Congress Standing Committee in Beijing made a decision on August 31, 2014 for Hong Kong to choose its next chief executive in 2017 through direct elections. 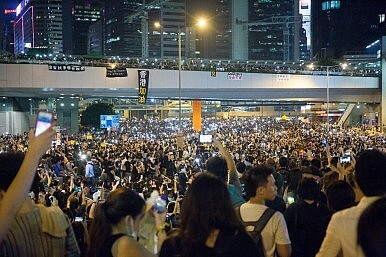 The proposal eventually put before Hong Kong’s Legislative Council or LegCo was all but identical to the NPCSC decision, to the dismay of pro-democrats. With a total of 70 members, LegCo currently contains 43 pro-Beijing members and 27 pan-democrats. Since a two-thirds majority was required for the proposal to pass, Beijing needed to gather at least another four favorable votes. Immediately before the critical voting on June 18, however, a total of 32 pro-Beijing legislators walked out of the chamber, leaving the whole matter to the hands of 37 legislators, including all 27 pan-democrats. This awkward situation showed both the failure of Beijing’s united front work to convert pro-democracy legislators and its failure to coordinate pro-Beijing legislators. The presence of Chinese submarines in India’s strategic “backyard” requires a more effective response from India. 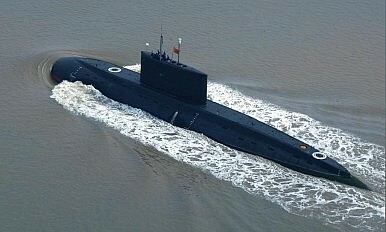 If media reports are to be believed, the alarm bells in the Indian Ministry of Defence have been ringing again – the ministry was once again taken aback when a modern Yuan-class 335 conventional submarine crossed the Arabian Sea and entered Karachi port on May 22 for a week. But such “surprises” had occurred earlier, when Chinese boats docked in Sri Lanka at the end of last year – upsetting India considerably – and yet again when the Chinese deployed a Shang-class nuclear submarine for anti-piracy patrols – a unique deployment unheard of in submarine operations. The unending saga of surprises never seems to cease, with little action on New Delhi’s part to respond to its growing concerns about the Chinese operating in an area perceived by many as India strategic backyard. Consequences of China's efforts to stabilise its equity markets after three weeks of declines, which wiped out some 30 per cent of the value, is far more importance to the world, says Clyde Russell. What's the bigger risk? Greece leaving the euro zone in a messy debt default or China continuing to pump money into its faltering stockmarket while trying to boost the rest of the economy through cheap debt? While Greece is probably ahead in the news headline count, especially in the developed world, the main impact from the weekend rejection by Greek voters of the terms of a new bailout is likely to be short-term market volatility. This can be seen in crude oil, with West Texas Intermediate futures dropping as much as 4.4 per cent and Brent futures falling as much as 1.6 per cent early on Monday. The euro currency and stocks outside of China also stumbled as the Greek vote against austerity brought the Mediterranean nation closer to a debt default and leaving the single currency. Talking to one of the Chinese guards that guard Norbulingka, the Dalai Lama’s home in Lhasa, Tibet, that has been turned into a museum for some years now, a visiting Indian scholar asked him, “how things are,” in Mandarin. The guard shrugged his shoulders. “Even when we arrest them,” he said, referring to Tibetans protesting the Chinese Communist Party’s (CPC) supreme control over Tibet, “some of them continue to mediate, even in jail…What are we supposed to do in that situation?” he added. This has been an interesting fortnight in the India-China-Tibet space. 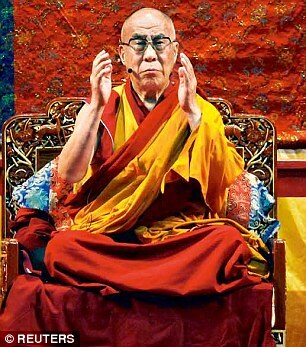 The Dalai Lama first celebrated his 80th birthday on June 21 (according to the Buddhist calendar) in Dharamshala, where he has been staying since he fled Tibet in 1959. The Indian government, initially circumspect about the position and presence of the Tibetan spiritual leader and how it would impact the Sino-Indian relations, sent Union Minister for Culture Mahesh Sharma and junior home minister Kiren Rijiju to participate in the celebrations. It has finally become official. Kaushik Basu, Chief Economist and Senior Vice-President of the World Bank, has declared India to be the fastest growing economy of the world. We Indians are delighted. Our newspapers have been highlighting this achievement already for the last month or so. We have edged out China in growth rate by 0.1 per cent. Our current per capita GDP is less than one-third of China’s. How long will it take for us to catch up with China with this excess growth rate could be a nice exercise for our school children. With our burgeoning population that is set to cross that of China in the medium term, we may set even a nastier exercise for them. Recently Soutik Biswas wrote a piece in BBC News under the title, “Is India’s Growth Exaggerated?” Even if he were wrong, we have an uphill task in front of us to be taken seriously as an economic power. Without economic strength, our military will remain perpetually vulnerable. While Mr Modi talks about this century the Asian Century, every other country talks about this century as the Chinese (and American) Century. Why would the Chinese want to share their glory with other Asians? Did the British call the nineteenth century the European Century, or the Americans call the last century the North American Century? We also do not have an all-weather friend after the collapse of the Soviet Union. We know that no other country would at the outset commit to unconditionally help us militarily if we were confronted with hostilities in future. This makes our foreign policy very tricky and our Ministry of External Affairs is acutely aware of that. To strengthen his “Look East, Act East” policy, our Prime Minister is trying to use Buddhism as the common cultural thread between India and the East/South-east Asian countries. To use his Buddhism diplomacy, Mr Modi during his recent visit to China expressly went to see the Great Wild Goose pagoda in the Chinese President Xi Jinping’s hometown of Xian. Despite the symbolism, one must realise that the trajectories of Buddhism were radically different in India and China. While Buddhism in India has been absorbed into the pantheon of Indian gods and Buddha is considered an Avatar of Lord Vishnu, Buddhism (and Taoism) in China got fused with the fundamentally ethical/social doctrine of Confucianism during China’s “transition from the ancient regime of the Qing empire to the modern Republic.” This was essentially a secularist project of nationalising and rationalising religion. All this happened even before the Marxist revolution of Mao in 1949. Mr Modi has much better chance of building a genuine Buddhist bond with the ASEAN countries. Our Minister of State for Finance recently asserted that India could double the economy in a decade. This is equivalent to saying that India would have 7 per cent growth rate consistently for the next ten years. But this is not very dramatic, as we saw remarkable growth rate in the middle of the last decade during UPA rule as well. That is why the minister had to twist the fact to make it sound more glamorous than what it actually means. All the big claims about our future growth rates are made with China in mind, although no one says that explicitly. There is nothing wrong in having healthy competition with other countries. European countries have done that for decades. Cold War was, to a large extent, economic competition between the United States and the Soviet Union. The problem with India is that our politicians do not face squarely the huge gap between our economy and that of China, tell the facts as they are to the public, and make it a national mission to improve our economy with the support of our citizens, irrespective of their political affiliations. When China started on the present growth path a little less than four decades ego, there was considerable hesitation among Western companies to shift their production facilities to China. There were two reasons that helped get over the initial prejudice about China and unfamiliarity with both the Chinese language and culture. One was political; leveraging China’s economic strength to counter the Soviet Union. The other was economic; cheap production in China acting as a hedge against inflationary pressure in the West. China also played her part and gradually won over the trust of Western businessmen. At present, 20 per cent of all transactions between Europe and China are conducted in the Chinese currency - Renminbi. In March 2014 the reserve banks of China and Germany decided to set up the “Renminbi Centre” for the Eurozone. Already more than fifty European banks joined this hub in Frankfurt. Some people are speculating that Renminbi could some day eclipse the dollar as the most used trading currency in the world. China has already amassed enormous foreign currency reserves and started flexing her economic muscle all around. The latest is the Chinese initiative to set up two new international financial institutions - the New Development Bank (NDB) and the Asian Infrastructure Development Bank (AIIB). The first one is officially a bank of the BRICS countries of which India is a member, and is a direct challenge to the hegemony of the World Bank. The second is meant to finance redevelopment of the historical silk route connecting China to Europe, along with its maritime counterpart, and is a direct challenge to the Asian Development Bank. Despite America’s clear disapproval, 57 countries have signed up, including all major European countries, to be the founding members of the AIIB. The notable exceptions are the United States and Japan, the largest shareholders of the World Bank and the Asian Development Bank, respectively. The silk routes show most vividly India’s China conundrum. While Central Asia and Europe, as well as Pakistan, are supporting this initiative wholeheartedly, we have no role in the land silk route, while we would feel encircled by China if she succeeds in realising the maritime silk route. As part of this plan, China intends to create a 2,000-mile economic corridor between Gwadar, on the south-west corner of Baluchistan where China has already built a port, to north-west China with roads, rail links and pipelines crossing Pakistan. The proposed trade route will pass through the POK. Pakistan has brilliantly used her geographical location with huge strategic significance to make America, China and Saudi Arabia, all three of them, her all-weather friends. The famous American political scientist Samuel Huntington, in his best-selling book, The Clash of Civilizations, predicted that these three powers representing the “only three distinct civilizations” would clash in the “New World Order.” Pakistan seems to have proved him wrong. China can safely ignore our protest against her military and construction activities in the POK. Our concern about Chinese submarines reportedly anchoring in Karachi should leave them cold. There is no incentive for China to resolve the LAC dispute with us, despite our PM’s express desire to do so. Their violation of the LAC during President Xi’s visit to India testifies to that, despite all protestations to the contrary. China can continue to give stapled visa to Indian citizens residing in Arunachal Pradesh and Kashmir, while we unilaterally opened e-visa facility to Chinese citizens. China is going to pile up huge trade surplus with us as long as they have willing partners among Indian traders to dump their goods in the Indian market; the yoga mats used on Rajpath for the International Yoga Day illustrates this at its symbolic best. It is not the first time in our history that our traders sold our national interest to foreigners. The Chinese have pulled themselves up by the bootstraps. Indians have no choice but to do the same. We should not delude ourselves into believing that we are at the threshold of becoming an economic superpower. To pull us up, economically and thereby militarily, cannot be a matter of political one-upmanship, but a long-term concerted effort of thinkers of all major political parties. All democratic countries have such non-partisan think-tanks that work out their long-term strategies. We cannot have an intimate partnership with the US, Japan and Australia axis, as they are never going to commit to defend our security interests at all costs. We cannot be too close to China, because this would lead us to submit to China’s terms in the not too distant a future. This explains our China conundrum. Our current foreign policy manoeuvres do not reflect any brilliant thinking on the part of our Foreign Office. They merely reflect the exigency of our circumstances. Shanghai Duolun Industry, a Chinese real estate company, managed to win over investors with a little re-branding in May. In the midst of a technology stock boom, the company decided to change its name to "P2P Financial Information Services Co." The company didn't actually develop a peer-to-peer lending business -- it just bought the domain name www.p2p.com -- but its shares jumped 10 percent anyway. "P2P Financial Information Services Co" wasn't alone in this strategy. One Chinese floorboard company doubled its share price by shifting to online gaming. A hotel group became a high-speed rail company and a ceramics specialist re-branded as a clean-energy group. Investors rewarded these decisions. China’s domestic stock markets have climbed to near-historic heights this year. The bigger of China's two main stock exchanges, in Shanghai, was up 45 percent from the beginning of the year as of June 24, while the other one in Shenzhen, a city in southern China across from Hong Kong, had risen 99 percent. Those figures are down a bit from a June 12 peak, raising concerns that the great Chinese stock bubble of 2015 is coming in for a dangerous end. With shares down more than 30 percent, Beijing is scrambling to protect investors. But it may end up making things worse. China’s stock-market bubble has burst, and Beijing is scrambling to control the chaos. It’s better to stop bubbles from forming in the first place, but Beijing failed to act — perhaps because the rising markets were a rare bright spot in a period of relative economic malaise. Now, with millions of fortunes already destroyed, continuing to do nothing might be the best approach. But that hasn’t stopped the government from diving in. The crash in Chinese share prices is a symptom of a market that is serving new strata of society as it develops, just like the American bourses during the dotcom boom. I remember one lunchtime about 16 years ago in a small seafood restaurant in Massachusetts, where I overheard two construction workers, hard hats by their sides, talking about stocks. “Yeah, I got some Cisco,” one said to the other as they compared portfolios. My eavesdropping suggested that they hadn’t done a lot of research into the companies or the fairness of the prices. Rather, it was just the done thing; if you had some money in your pocket in 1999, you bought tech stocks. Everyone did it — and the forces of demand and supply, rather than anything to do with the fundamental values of the underlying assets, drove share prices up, up, up. Checkpoints at schools, confiscated passports, and no cell phones. Beijing is tightening the screws on Uighur youth in Xinjiang. KASHGAR, China — As Muslims worldwide immerse themselves in the holy month of Ramadan, which started June 17, Uighurs in China’s far-west region of Xinjiang, the majority of whom follow the Islamic faith, are experiencing intensified state assault on their religious freedom. Earlier this month, the region’s top party official said that religion must be “sinicized” in order to serve the unification of the country. In the days leading up to the holy month, official notices published on government websites, similar to those from the same time in 2014, demand that Uighurs who are party members, civil servants, teachers, and students forgo fasting. Within a span of less than two months earlier this year, India had to launch rescue operations in Yemen and Nepal. In Yemen, the operations focused on rescuing Indian citizens and others caught up in a civil war and in aerial bombardment by a coalition of countries, led by Saudi Arabia. In Nepal, the operations were for both rescue and relief in the aftermath of the devastating earthquake. In both cases, the Indian effort was a well-oiled one, with complete synergy between various agencies of the government. The Indian air force and navy played stellar roles in these operations. In normal times, the Indian government is known to operate in silos, with its constituent ministries and agencies guarding their turf zealously and generally following their own path. But in times of crisis, when push comes to shove from the prime minister himself, the same Indian government gets its act together to mount operations in Yemen and Nepal that attract the attention of the world for the planning, coordination and high-level international diplomacy that included direct telephonic contact between the Indian prime minister, Narendra Modi, and Salman bin Abdul Aziz, the new king of Saudi Arabia. "Negotiated agreements contributed significantly to the fact that we survived and, indeed, won the Cold War without nuclear Armageddon." Interconnectedness is the name of the game and Beijing has been leading the way forward. Despite China’s massive project to bring the economies of Eurasia together, the Chinese still faces resentment by those that want to tarnish the image and leadership role of the People’s Republic. Here is just the latest example: although it is annually reported around Ramadan that there are restrictions on China’s Muslims, this year there has been a large international media barrage of reports claiming that China has banned fasting in the Muslim-majority Xinjiang Uyghur Autonomous Region. This type of media campaign evokes memories about the 3.14 protests that were orchestrated in the Tibet Autonomous Region and internationally to disrupt the 2008 Summer Olympics in Beijing. Russia is designing “carrier killer” nuclear submarines, local media is reporting. According to reports in The Moscow Times and Pravda, among others, Anatoly Shlemov, the head of the state-owned United Shipbuilding Corporation's state defense order department, recently said that Russia will build two-classes of fifth-generation submarines as part of Vladimir Putin’s military modernization plan. The first of these submarines will be designed to intercept strategic submarines whereas the other class will be built to target large surface vessels, principally aircraft carriers. “Though the designs have not yet been named, one will be classified as an ‘underwater interceptor’ and the other an ‘aircraft carrier killer,’” The Moscow Timesparaphrased Shlemov as saying. Sanctions against Russia are both ineffective and self-defeating. In the geopolitical arena, do the ends always justify the means? Is it wise to inflict damage on yourself and your institutions to hobble an enemy? The relationship between the West and Russia over the last few years offers an illustrative case. Even if we assume that Western promotion of the Maidan revolution was absolutely correct and noble, and that Russian resistance is indicative of the re-emergence of the “evil empire,” questions remain as to what types of punishment are appropriate and what level of damage to Western society and institutions are acceptable. Specifically, many Western actions vis-à-vis Russia have damaged constructs as fundamental as the rule of law and disrupted many economic innovations, which in no small measure contributed to the higher quality of life and level of development of the West. In other words, in an effort to punish Russian “misdeeds,” two of the major forces that helped the West win the Cold War, namely capitalism and its necessary prerequisite, democracy, have been jettisoned when deemed expedient. Is this an appropriate sacrifice? 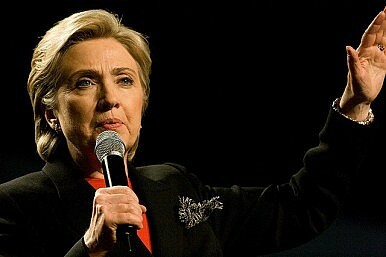 Last Saturday, U.S. Democratic presidential candidate Hillary Clinton openly accused China of attacking U.S. networks and stealing sensitive information to gain military and economic advantages over the United States,Reuters reports. 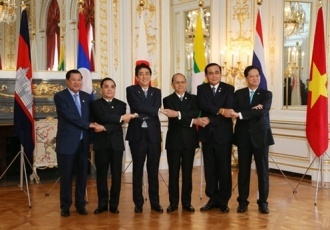 On July 4, the leaders of Japan and the five countries in the Mekong subregion – Cambodia, Laos, Myanmar, Thailand and Vietnam – convened for the Seventh Mekong-Japan Summit in Tokyo. True to form, much of the media focus was on the dollar amount that Japan pledged to the so-called ‘Mekong Five’. In fact, the real significance of the meeting was the adoption of a new, comprehensive strategy for Mekong-Japan cooperation for the next three years and the growing importance of regional and global issues in the relationship. The headline plastered across most newspapers was that Japan had pledged 750 billion yen ($6.1 billion) in aid to the Mekong over the next three years as part of a bid for influence amid the rise of China’s Asia Infrastructure Investment Bank (AIIB). As I have stressed in the past, framing foreign policy initiatives in such crude terms does them a great disservice (See: “Is This Japan’s New Challenge to China’s Infrastructure Bank?”). Japan has been pledging official development assistance (ODA) to Mekong states long before China even thought of setting up a new infrastructure bank. It has also been further boosting its relationships with Southeast Asian states over the past few years (See: “Japan’s ASEAN Charm Offensive”). IS AS DULAT STRIVING FOR GLORY AT NATIONAL COST? Every writer is too painfully aware that it isn’t enough to be lucid and creative; reaching out to potential readers also involves a bout of creative marketing in which reviews, author interviews and media coverage all play a role. To that extent, the onrush of publicity surrounding former RAW chief AS Dulat’s reminiscences of the Vajpayee years is only natural. I haven’t as yet secured my copy of the book but judging from the extremely competent interviews of the author by Karan Thapar and Barkha Dutt, it promises to be obligatory reading for all those interested in India’s contemporary history. Certainly, the pre-publicity surrounding Dulat’s account of some of the more hidden aspects of decision-making and statecraft — in which the Congress-BJP slugfest is a part — has made me want to pick up a copy. However, while the author, the publishing industry and even chroniclers of the India story may be well served by the latest addition to the memory industry, there is a deeply troubling question that needs to be asked.Dulat wasn’t just another politician such as K Natwar Singh, an observant ‘insider’ journalist like Tavleen Singh or even a part-time apparatchik like Sanjaya Baru. Nor is Dulat of significance because of his present-day role as a player in the internal affairs of the Delhi Gymkhana Club — important as that might be. Dulat was a long-time functionary of the Intelligence Bureau who was subsequently handpicked by Atal Behari Vajpayee’s all-important Principal Secretary Brajesh Mishra to head the Research & Analysis Wing of the Cabinet Secretariat — India’s external intelligence agency. Subsequently, upon retirement, he was included in the Prime Minister’s Office and given, among other things, responsibility for Jammu & Kashmir. In both capacities, Dulat either took decisions or had access to information that can — without any measure of exaggeration — be described as Top Secret. Neither alternative – approval or rejection of the troika’s terms – will be easy, and both carry huge risks. 29 Jun 2015 – The rising crescendo of bickering and acrimony withinEurope might seem to outsiders to be the inevitable result of the bitter endgame playing out between Greece and its creditors. In fact, European leaders are finally beginning to reveal the true nature of the ongoing debt dispute, and the answer is not pleasant: it is about power and democracy much more than money and economics. Greece isn’t the only European country teetering on the brink of default. In just a few weeks, Ukraine will probably also be forced to announce that it can’t pay some of its debts to private foreign creditors. A few weeks ago, the Ukrainian parliament passed a law authorizing the government to suspend payments to private foreign creditors. If its creditors don’t agree to a proposed debt restructuring, Ukraine’s government is likely to use that option. On the face of it, the two situations might appear rather similar — but a closer look reveals stark differences. The Greek default (and looming financial catastrophe) represents a panic-driven, populist rejection of any attempt to come to a negotiated deal with an increasingly skeptical Europe. Ukraine’s impending failure to pay its creditors, on the other hand, comes off as a regrettable but manageable bump in the road on the way to financial health.